CTU President Karen Lewis and Vice President Jesse Sharkey announced the union will hold a practice vote on striking amid thousands of possible layoffs. Preliminary results from a Chicago Teachers Union practice vote on a teachers strike showed 97 percent of teachers would vote to authorize the strike in light of up to 5,000 potential layoffs next semester. The results also show that many members are questioning their confidence in Chicago Public Schools CEO Forrest Claypool and his ability to restore public trust in the school district. More than 97 percent of union members participated in the practice vote, according to CTU officials. In a real vote, the union needs 75 percent of their membership to agree to a strike. No timetable on an official vote has been given. Chicago Public Schools released a statement in response to the practice vote results, asking CTU to join them in Springfield to push for more state funds for the district instead of threatening a strike. The Chicago Teachers Union announced Monday it plans to hold a practice vote Thursday on a teachers strike in anticipation of up to 5,000 layoffs next semester. NBC 5's Katie Kim reports. "For the sake of our children's education and our teachers' jobs, we are committed to working toward a solution to the budget crisis facing CPS," a spokesperson for the district said. "We hope that the CTU will join us in Springfield to push for fair treatment for Chicago's children, instead of threatening a strike." Chicago Public Schools CEO announced in September that the district could potentially cut 5,000 jobs by Thanksgiving due to the ongoing Illinois budget stalemate. At the beginning of November, Claypool said the layoffs would not happen until February, but he did not specify how many layoffs are possible. 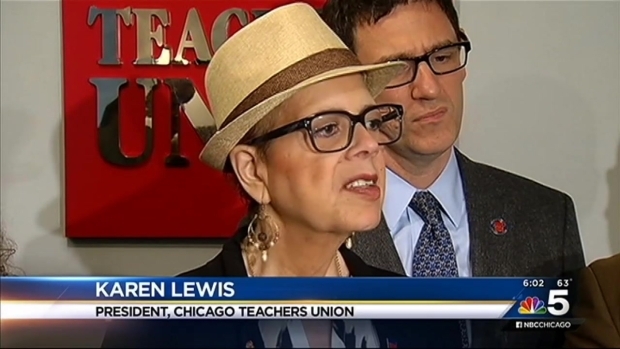 Earlier this month, CTU President Karen Lewis said the layoffs would require reprogramming nearly 700 schools, and they would affect between 175,000 and 300,000 students, depending on how the layoffs are structured. 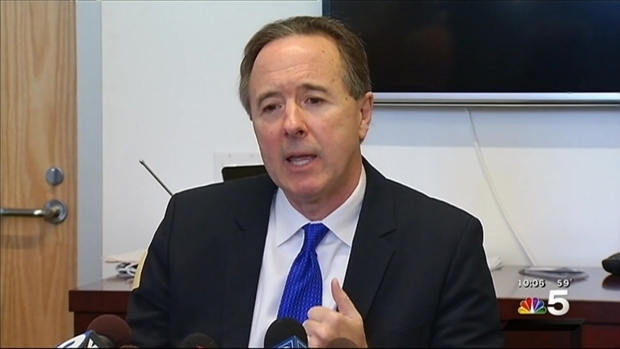 The Chicago Teachers Union threatened to go on strike after Chicago Public Schools CEO Forrest Claypool announced up to 5,000 layoffs could hit the district by February. NBC 5's Katie Kim reports. "We cannot blow up schools because you don't have any money," Lewis said. "We have to figure out another way to do this." Lewis said the union has other ideas on how to solve the district's financial mess, but she only offered one potential solution on Monday: reconfiguring the TIFs. In the same press conference, CTU Vice President Jesse Sharkey added that the district will not be able to come up with a plan for fiscal solvency "unless they come up with a plan to tax the wealthy." While Gov. Bruce Rauner has laid partial blame on CPS' financial struggles for the state budget stalemate, Sharkey fired back at the governor, saying a teachers' strike would be part of a "showdown" with the state. "If the governor of this state thinks this is going to be another corporate takeover, and he's going to shut down our schools in order to gain a political win, he needs to think that this is a game in which we get to move, too," Sharkey said. "This is not going to be a shutdown. This is going to be a showdown." Claypool has pointed a finger at Rauner as well and asked teachers and parents to join the district in Springfield to ask for fair funding to prevent the possible layoffs. "Fundamentally, all roads lead through Springfield," Claypool said. "We cannot solve this crisis without Springfield stepping up first and being a significant part of the solution ... Its discriminatory funding formula is at the root of this crisis."